The 24-year-old was flown by helicopter to the hospital Monday after being shot three times, but died the following day despite four operations to save his life. Pro surfer Ricardo Dos Santos was shot three times on Monday in Brazil. Dos Santos was shot by an off-duty officer after he approached him and another man, BBC reported. He was rushed to the hospital after suffering three gunshot wounds. After undergoing four operations, Dos Santos died Tuesday afternoon at the hospital. Dos Santos was allegedly killed by an off-duty police officer, who according to multiple media reports said he shot the unarmed surfer in self defense. The officer has been detained, but not yet charged, BBC reported. Another man was also reportedly taken in for questioning. Accounts of what happened that Monday vary greatly. A witness reportedly said that Dos Santos was shot after confronting a group of men playing loud music and doing drugs on the beach outside his home, which is near Florianopolis in southern Brazil. Another account said Dos Santos was shot during a discussion about a parked car. Dos Santos rose to fame after he beat out 11-time world champion surfer Kelly Slater in a 2012 contest. That same year, he won a surf contest at Pipeline, Hawaii's famous big-wave surf break. 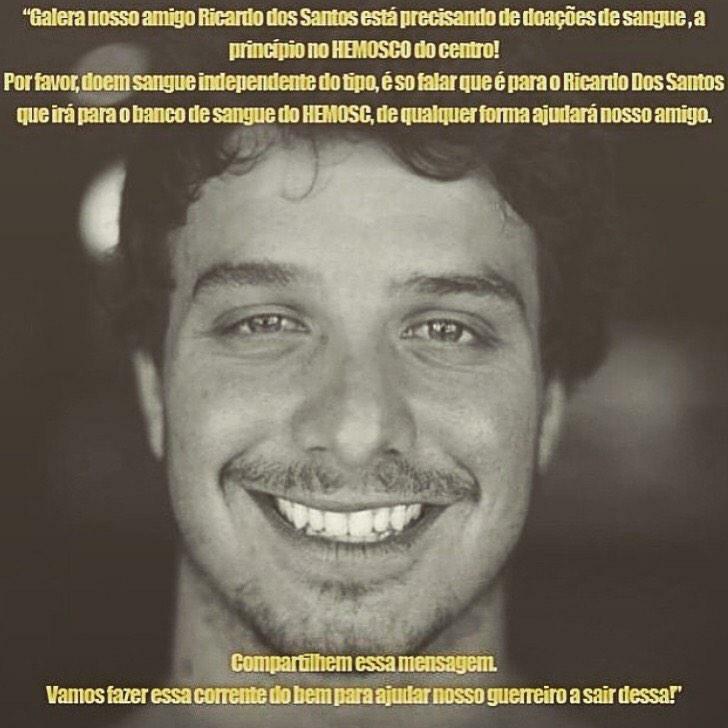 After news of the shooting occurred, other Brazilian surfers reached out on Facebook, urging the public to make blood donations to assist with Dos Santos' operations. Despite the outpouring of donations, Dos Santos was not able to sustain the blood loss and died at the hospital. Brazilian surfer Gabriel Medina, who won the 2014 surfing world champion, posted a black square on Instagram and wrote: "Ricardinho, you did not deserve it! Not at all, ever! Why does this happen to good people? I do not understand it!" Kelly Slater posted on Instagram a photo of a group of surfers paddling out to form a circle at Pipeline to remember their friend.